Ok, so the folks at Baird Equity Research apparently did a study about developer sentiment on different platforms. 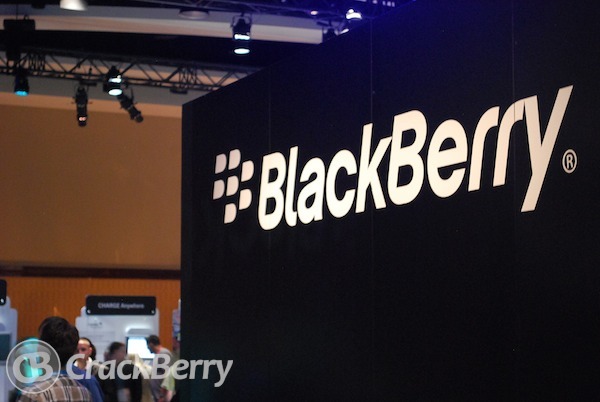 AllThingsD has already written up another BlackBerry death certificate as a result of this survey. Whatever happened to questioning the quality of these surveys? I'm not going to try to pick apart this particular survey because I have no idea how it was conducted. But I will say this - just look at the picture. There's something obviously wrong with it. The title says, "How do you view the long term outlook for the following platforms". The fact that Windows Phone 7 even shows up (ranking 4th) tells you there is a critical flaw somewhere in how this survey was executed. The title asks for a ranking about a long term outlook. 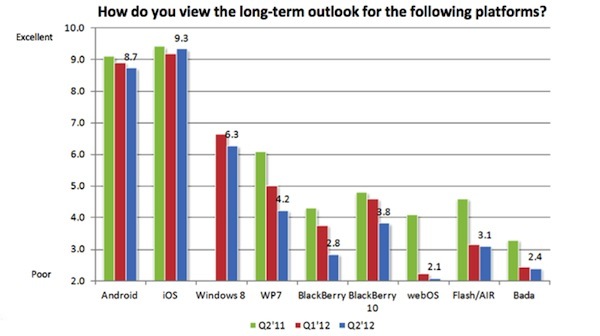 Windows Phone 7 is in worse shape than BlackBerry 7 from this perspective. It's being replaced by Windows 8 later this year and has no long term future. BlackBerry 7, at least, has a few years of life yet as it tackles the emerging markets (although I can see why devs wouldn't be very interested in it). This serves to remind everyone that a picture isn't always worth a thousand words. Sometimes it's just plain useless. To start analyzing the numbers of a poorly executed survey is akin to looking for a pattern in the coffee grinds that I throw into my trash can.